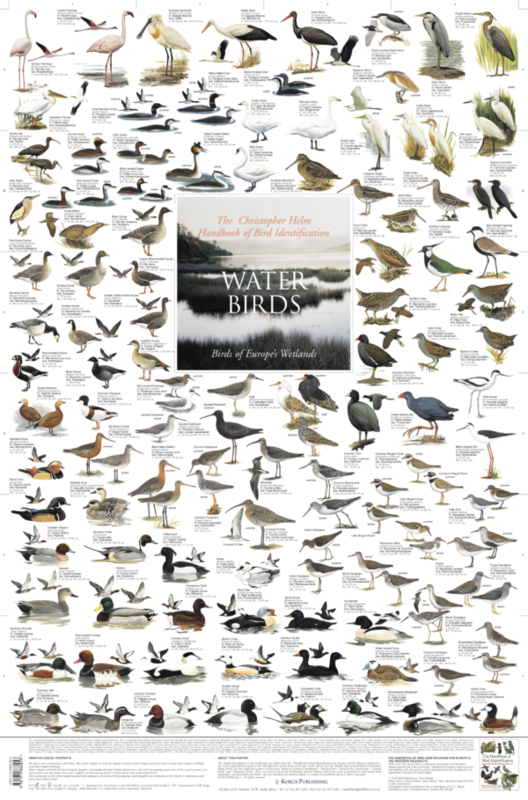 Illustrated in this fascinating subject are 103 species of water birds. These comprise an extraordinarily interesting and diverse group of bird families all with specific feeding and habitat preferernces. Among the water bird families shown are: bittern, crake, diver, duck, egret, eider, flamingo, godwit, goose, grebe, heron, lapwing, plover, pochard, redshank, sandpiper, scoter, shelduck, snipe, stint, stork & swan. The delicate colours of this bird group make a subtle and decorative wall poster subject with very wide appeal.